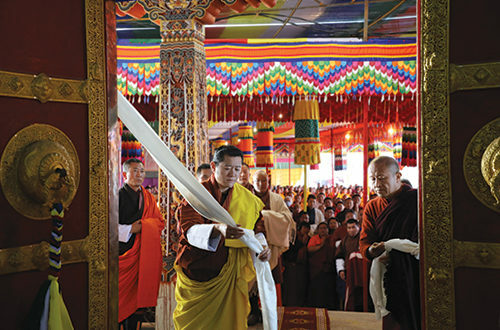 His Majesty The King graced the consecration of the new Chador Lhakhang in Bartsham, Trashigang on 28 March 2019. 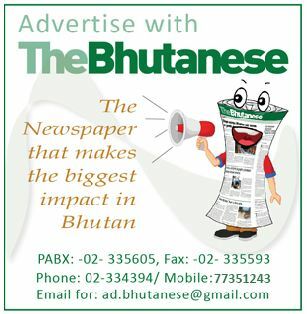 Chador Lhakhang is among the most sacred religious sites in Eastern Bhutan. Thousands of people from across the region and country visit and venerate the relic of Chana Dorji, which gives the monastery its name. The earliest temples and relics of the monastery date back to the 12th century, and are associated with Guru Rinpoche and Pema Lingpa. 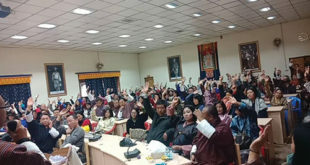 Construction of the new Lhakhang, which was built to accommodate increasing numbers of devotees and ritual ceremonies, began in 2006, under the patronage of Dzongsar Jamyang Khyentse, and was overseen by Late Lama Kunzang Wangdi. The government, Bartsham Dratshang, and members of the community supported the project. 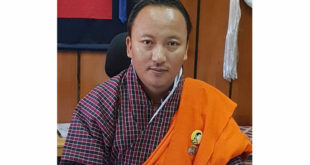 Lama Kunzang Wangdi, who served as Sungkhorp to His Majesty the Fourth Druk Gyalpo and Their Majesties the Queen Mothers, passed away in October last year at the age of 76. 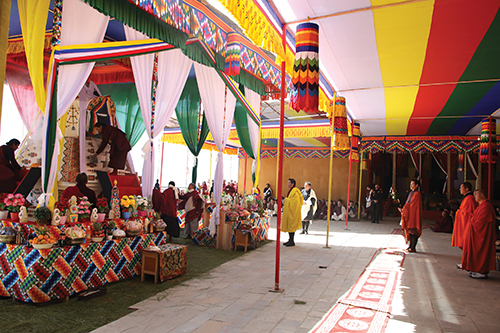 His Majesty graced the Purjang of Lama Kunzang, which was held coinciding with the consecration of the new Lhakhang. His Majesty was accompanied by His Royal Highness the Gyaltshab, and the Prime Minister.